Living the dream of owning a large, spectacular and historic building in many countries can often be somewhat difficult to realise. Not so, France. Almost every department has its share of imposing tower-topped chateaux dominating the landscape, if no longer the people. From long-forgotten manorial houses to the very largest monastic and secular palaces, French chateaux offer a vision of mystique and romance that perhaps the more solidly defensive English castles cannot touch. At present, large estates are offering superb value for money compared to other prestige property around the world. Boasting acres of land, lakes, outbuildings and their own capacious floor spaces, chateaux give one the opportunity and space to choose how to live and work. 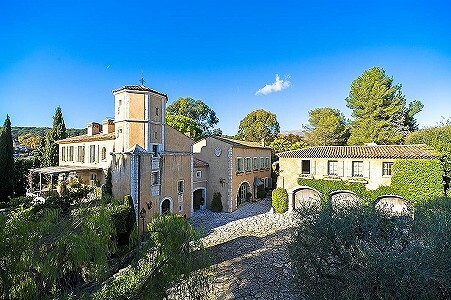 Taking the figure of 1 Million Euros as an example, chateaux costing this will far outweigh, in real terms, the real estate offered by other luxury and prestige property of the same price. In many locations, you are paying for exactly that - location - and will no doubt be jostling with other similar properties for the best view. French chateaux offer the rare ability to look out from your window and survey no land but your own. The rise in disposable income and the freedom to travel between countries ensures that there is strong interest in buying such property for a family home or a tourism business - perhaps for fishing, an equestrian school, hunting, outdoor sports, walking or wildlife watching. The fairytale bulk of French chateaux is also one of its main attractions, particularly for weddings or hotel accommodation. What bride would not wish to be married within an ancient chapel bathed by soft light streaming through its stained glass windows, then withdraw across the lawn to the main building with its ornate decoration a background to the big day and the sounds of history echoing from its walls? Many such properties also have existing income from timber or wine production. 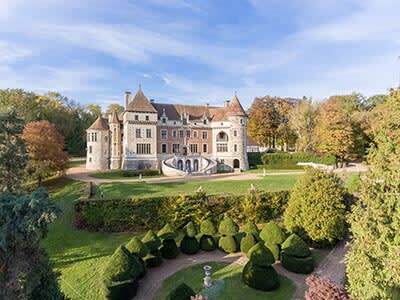 If you are looking for French chateaux for sale, be it for pleasure or business, we have many beautiful properties to choose from with prices of approximately 300,000 EUR to over 20 Million EUR. These properties take many forms, from smaller Logis and manor houses to fortified farmsteads and enormous stately homes encompassing many hectares of land with woods, lakes, guest houses and outbuildings. A chateau, because of its size and history, usually has over 1 hectare of land - usually this is much more, even with lower budget examples. While there is a limited supply of French chateaux that are up for sale at any given time, there is likely to be a great variety. You may wish to buy a large building with little land to make your money go further. Or you may wish to buy a smaller Logis-style property, but utilise the land for horses, hunting or wildlife. 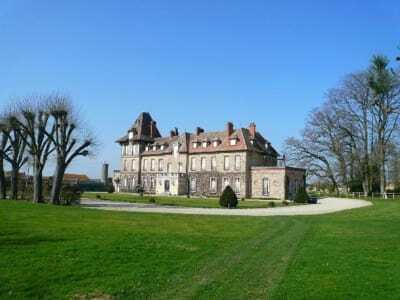 However, there are many examples of chateaux for sale on the market with a large floor space and several dozen hectares, but they are understandably more expensive but not overly so. 1 million EUR can easily buy you 500m2 of floor space on several levels plus 20 hectares of land. Whether a chateau dates from the 10th or 20th century, it will have its own style and history of decoration. Some can be a mix of styles from different periods as fashion and the owner's availability of funds changed. Other chateaux appear not to have changed since they were built. Many were built in the early 19th century as France became more dominant and wealthy. There are similarities between properties in that you are likely to find original features such as stone fireplace, parquet flooring, mouldings and carvings dotted around the rooms. French chateaux for sale encompass all states of preservation. From windowless shells requiring total renovation, to those requiring part-decoration, to immaculate 19th century bourgeois stately homes, the amount you will need to spend will depend on how much work you are willing to undertake. Being large properties, renovations can be very costly and time-consuming but need not be outside the budget of most serious buyers if planned correctly. Typically, to arrive at a habitable building you will need to spend around a total of around 500,000 Euros, whether you opt to renovate or buy an already renovated example. Obviously, the more you spend to begin with, the larger the chateau, outbuildings and land you will acquire. While not always true, like most things it is usually sound advice to spend more at the outset to buy a good example than spend money creating one. In other words, it is better to let the previous owner use their money and time! 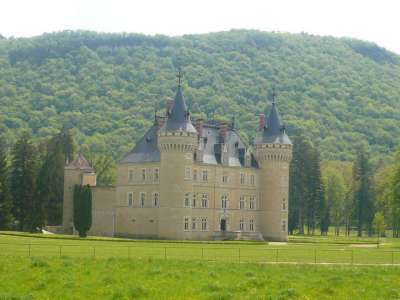 Our portfolio includes a great selection of French chateaux for sale in many areas of France. The Loire valley and the nearby departments offer particularly good investment opportunities for the chateau property buyer and we have over 30 examples in the Indre-et-Loire, Loir et Cher, Indre, Maine et Loire and Seine et Marne alone. Other good 'populations' exist in the Parisian departments and the south east, south west and north east areas of France. The market is remarkably fluid below 1.5 Million euros, with highly desirable properties changing hands within weeks of being offered for sale. This compares favourably with other prestige markets with regards to 'on-market' times. 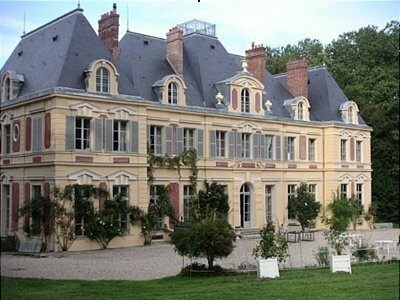 Exceptional Historical Estate in Versailles for Sale with 32 Hectares. Are you a blogger or journalist with an interest in castles or chateaux? We are looking for mutually-beneficial partnerships with people like you to get the word out about our amazing properties. Click here to tell us what you do.